Defend yourself from the blows of your enemy with the Dark Finished Wooden Battle Shield. 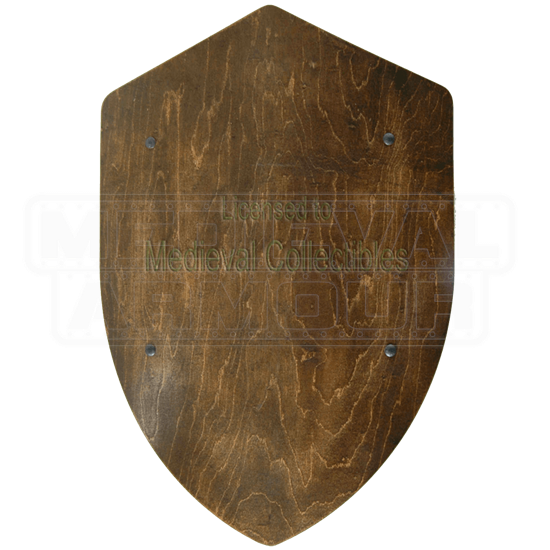 Great for reenactors, this hardwood shield features a traditional kite shape, lightweight design, and a stylish darkened finish. Two leather straps on its back secure it to your arm. The straps come unattached, allowing you to place them wherever is most helpful and customize whether this shield is left handed or right handed. Though this light assembly is required, all the necessary hardware is included. 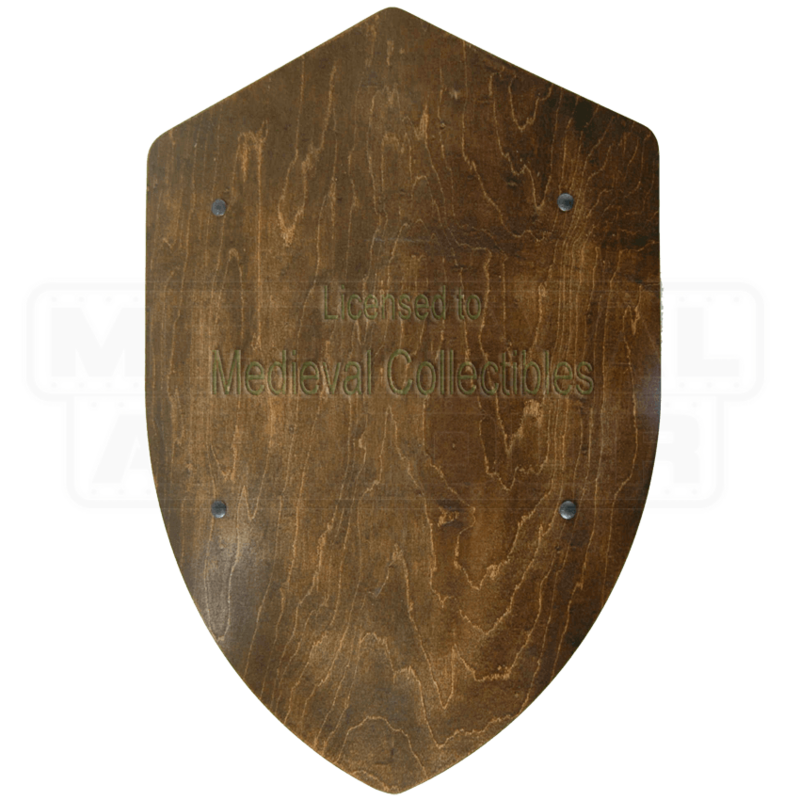 Its classic design makes the Dark Finished Wooden Battle Shield an excellent, versatile choice for your next event, great for self customizing to suit your individual tastes.